Sangeeta Boodoo is an associate attorney of the firm. She functions as an advocate attorney at the Magistrates Court, the High Court of Justice and the Family Court of both Trinidad and Tobago and instructs Mr. George on matters at the High Court and the Court of Appeal. 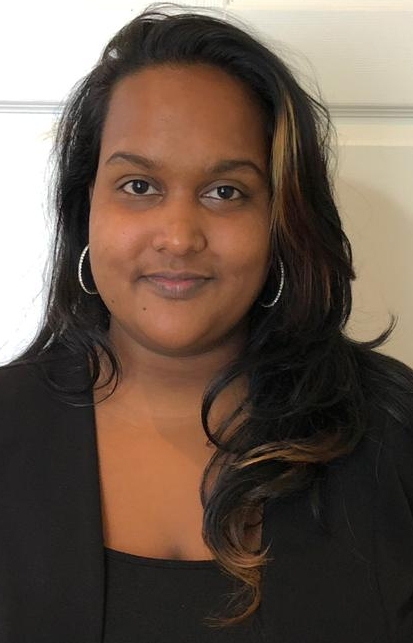 She believes in social justice, equity and equality and in serving her nation and she has partnered with the National Library of Trinidad and Tobago, the Defence Force of Trinidad and Tobago and other Non-Governmental Organizations to run programs aimed at youth development and community and nation building.